The Technical Education and Skills Development Authority (TESDA) offered different and free short courses. It includes here the Language Proficiency Course. The TESDA aims to help trainees in order for them to gain a basic or intermediate knowledge and understanding of a particular language which they will use in their future career within or outside the country. The TESDA as one of the leading career developer in the country is now making another move to mold the language proficiency aspect of our workers through their coordination with foreign embassies targeting to build up more not only the language proficiency but also the culture training of Filipinos who want to work abroad. The foreign embassies including Spain, People’s Republic of China, United Kingdom, Vietnam, Malaysia, Kingdom of Saudi Arabia, Japan, Korea, Italy, France, Russia and Germany are the countries where Philippines will be making the possible tie-up. 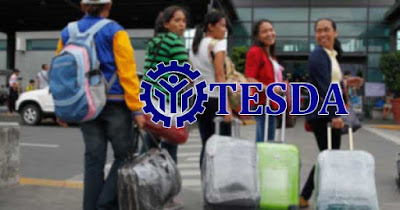 TESDA Director General Guiling Mamondiong has already sent a letter for those countries regarding the proposal. Mamondiong said that through this initiative, it will surely help Filipinos who want to work overseas for them to be more effective and productive in speaking the languages they used in that country as well as their culture. According to a survey, possessing and knowing then the languages and the different cultures by the employees in the country they wish to work for is a big advantage because this will make their service on their employer be better. In connection to this, the Technical Education and Skills Development Authority also made their immediate plan to coordinate to the Department of Employment in order for this project to pursue. But if your plan now is to work in other countries, you may also avail the free Language Proficiency Course of TESDA which includes Basic Japanese Language and Cultures, Basic English Language, Basic Korean Language, Basic Mandarin Language and Cultures, Basic Arabic Language and Saudi/Gulf Cultures and Basic Spanish Language for Different Vocations.